In 2011 and 2012, Kenyan-born former Safari Simba Chris Froome, finally announced his arrival on to the pinnacle of world cycling in style. 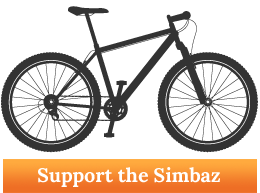 Though the cycling world was surprised by his development into one of the strongest general classification contestants, we at the Simbaz knew of his potential from his strong mountain climbing and work ethic which were obvious during his time with us here, and we’re extremely proud of what he has achieved so far. Having switched his Kenyan riding licence for a British one, he joined the redoubtable SKY Project and immediately made huge waves in 2011 when he won stage 17 and was vice champion of the Tour of Spain, one of the big three of cycling grand tours. Chris Froome during the 2011 Vuelta a Espana. In the 2012 Tour de France, as chief lieutenant and mountain domestic to eventual winner and SKY teammate Bradley Wiggins, Froome was arguably the strongest rider in the mountains and matched his Vuelta a España achievement with a stage 7 win and another runners-up spot. 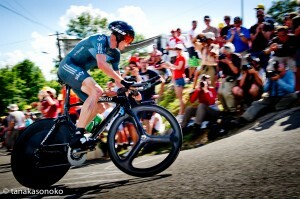 He won the bronze medal in the Road Time Trial at the London 2012 Olympics. 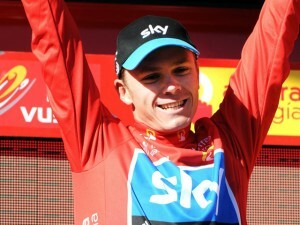 Currently, Froome has been rewarded for his efforts with the team leadership for an assault at the 2012 Vuelta a España – a grand tour for climbing specialists. It is perhaps not surprising that most sport enthusiasts in Kenya know very little about Bike racing and in extension about Chris Froome. This is because bike racing in Kenya is not a big game. But perhaps this could change after the conclusion of this year’s tour de France where Chris Froome is widely expected to win the tour overall. Many people must be wondering who this Chris Froome is, and what most Kenyans don’t know is that Chris Froome is more Kenyan than he is British his currently adopted Country. Chris was born in Nairobi on 20/05/1985 to Jane a Kenyan born Woman of British Descent. He was mentored into bike racing right here in Kenya by the great Kenyan bike Cyclist David Kinja. Chris actually represented Kenya at the Road World Championship in 2006 at Salzburg in Austria. When Chris Froome crosses the line at the end of Tour de France bike competition in paris at the end of Next week as the winner, he will write a volume of History in as far as Tour de France is concerned. First and foremost, he will become the first Kenyan born cyclist to win the most prestigious bike racing event in the world, secondly, he will become the first African born cyclist to win tour de France, thirdly he will become only the second British citizen to win the event. Bradley Wiggin became the first Briton to win the tour last year and was knighted by the Queen. Chris Froome could become a major Kenyan ambassador in attracting tourist into Kenya if only Madam Kandie and her team at the Ministry of Tourism can get their act together. I suggest that if Chris wins this years tour de France, President Uhuru Kenyatta should decorate him as a Kenyan Hero.